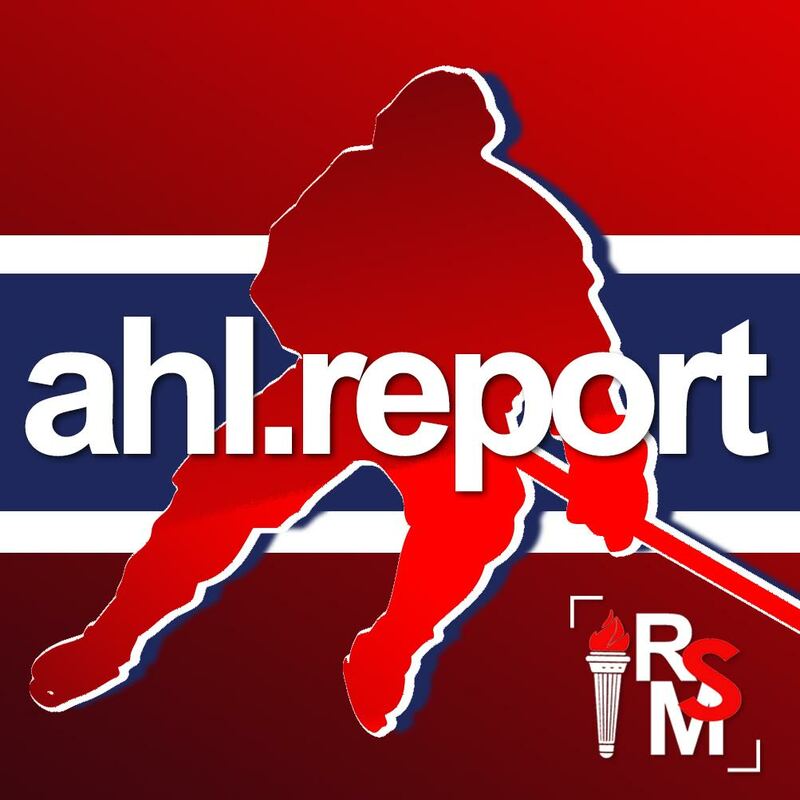 After dropping back-to-back games against the Springfield Thunderbirds last weekend, the Laval Rocket hit the road to try to get back in the win column on Tuesday with a visit to the Toronto Marlies. The opening period, however, was lackluster at best. Through the first nine minutes of play each team had only registered one shot on goal. There were virtually no whistles, no physicality, no penalties, and…no scoring. Laval had one seemingly decent chance on a breakout from the defensive zone, but that shot went easily wide of Jeff Glass’ net, and then the Marlies took over on offensive pressure for the remainder of the period. Charlie Lindgren faced nine shots in the period, and looked solid in each save. The second period looked a lot like the first, except that the visiting team’s penalty box was filled plenty often. 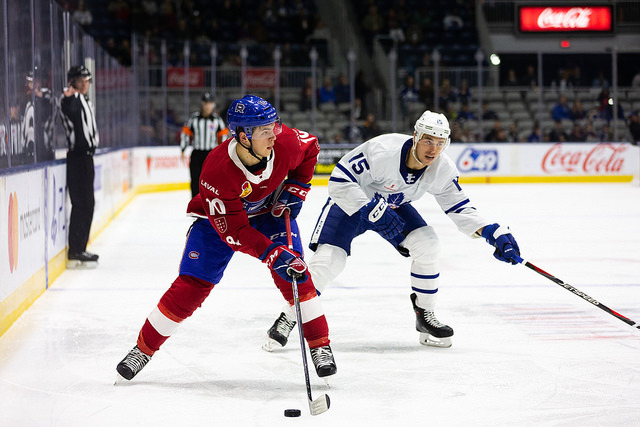 With three minor penalties in the middle frame, the Rocket penalty killers had their work cut out for them, particularly during a five-on-three advantage for the Marlies lasting more than 30 seconds. But Laval came up strong in the penalty kill yet again, as they have done in most games this season. The question remains to be answered if they can cut down on the amount of the time they spend in the penalty box. When the Rocket finally got their first power play of the game, late in the period, they showed their first real signs of life. The power play units went hard to the net and some post-whistle scrums started to break out. Laval even managed to outshoot the Marlies 12-9 in the period. Finally, in the third period, a puck crossed the goal line. 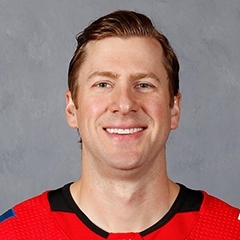 Unfortunately for Laval, it was Toronto who got on the scoreboard first when Colin Greening tucked the puck past Lindgren from below the goal line. 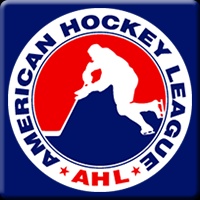 After exchanging a couple of additional penalties the teams found themselves tied 1-1 when Cale Fleury fired a quick wrister from the slot to beat Glass clean and score his first AHL goal. In overtime, the Rocket looked a bit tired and let their shifts go too long on many occasions. As irony would have it, former Laval forward Adam Cracknell potted the game winner when he fired a wrist shot past Lindgren cleanly to win the game for Toronto. That’s three consecutive losses for the Rocket, and they now head to Rochester for a tough matchup on Saturday night against a surging, strong Americans team.